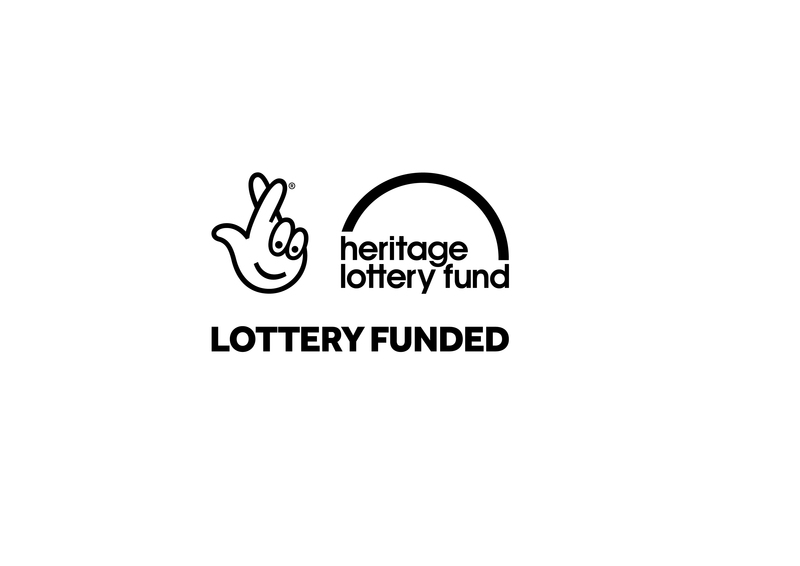 This week saw the Walney Loaf project come to an end. 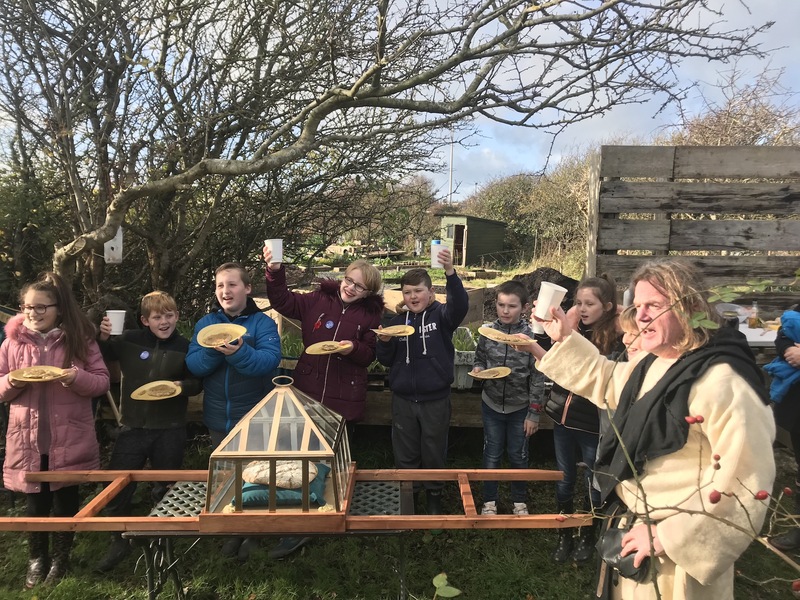 North Walney primary school pupils in Year 6 have been working with artist-in-residence Hannah Brackston over the past year on a Heritage Lottery Funded project, which saw the journey of the humble wheat grain from field to loaf. In the times of Furness Abbey, the monks used Walney Island for growing crops and called it ‘The Bread Basket of Furness‘. There was once a mill on Mill Lane on Walney, and wheat was grown there we believe up until late 19th century at least. 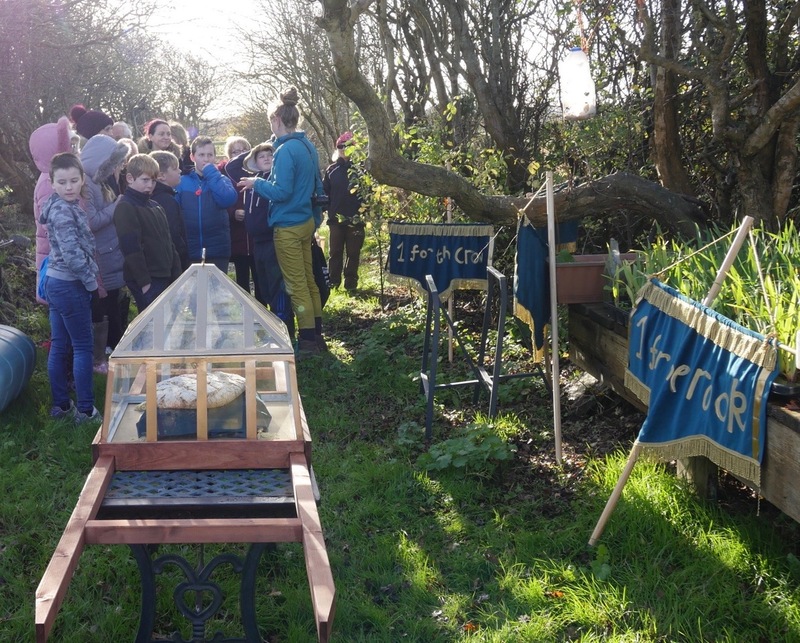 The children explored the archaeology and history of our Walney Community Growing Space, on Mill Lane, with historian Iain McNicol. 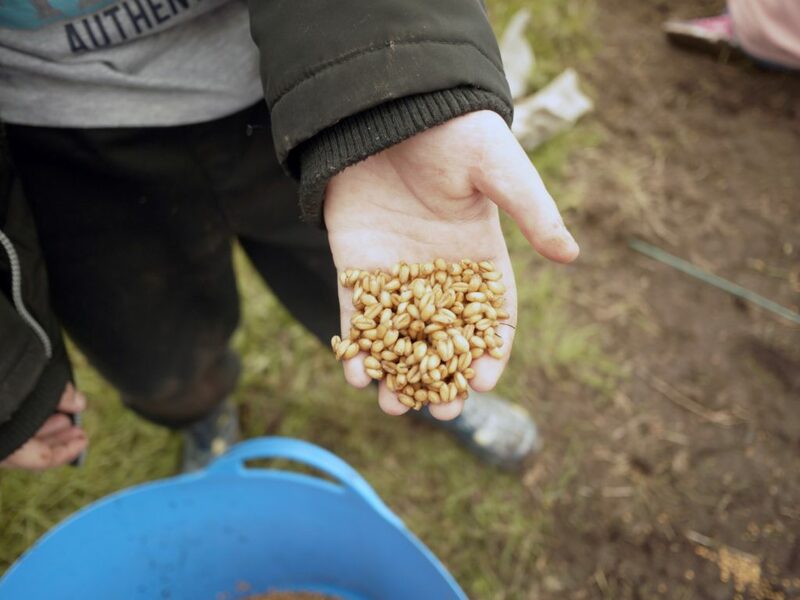 Looking at how bread was made in pre-industrial Britain, the children got some hands on experience in sowing their wheat on the filed, threshing, winnowing and milling the grain it yielded. Further to this they had a trip to Beetham’s Heron Corn Mill to experience a ‘one of its kind’ in the World, working mill. Using the flour they had produced they baked bread to take home and made creative bread bags with Hannah. This week was celebrating what the children had learnt, grown and made and to give back some grain to the land and creatures within it. Proceeding over events was Brother John, aka historian Iain McNicol, who led the procession from the old mill site, down Mill Lane to the growing space field. This project gave the young millers a chance to understand the grain’s circle of life. An opportunity rarely given to young people these days with our food production being far removed from the everyday. Along the way the children sang songs and rhymes. Working on this ancient sowing rhyme they offered up their grain to the birds and the soil back at the growing space. Then making and eating ‘Clap Bread’ from rolled oats, lashings of the field’s homemade Blackberry Jam and hot chocolate finished off a very lovely morning! Well done North Walney primary School!